She has been a child custody evaluator for over 28 years, trains other evaluators, serves as a consultant to attorneys, and as a testifying expert in family law matters. 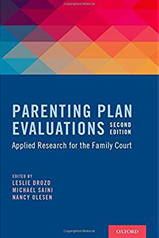 She helped write the Association of Family Conciliation Courts Model Standards for conducting child custody evaluations (2006) and guidelines for parenting plan evaluations involving allegations of domestic violence (2016). Dr. Drozd is currently on the board of directors of the Association of Family and Conciliation (AFCC), California chapter and Overcoming Barriers. She was recently nominated to serve on the international AFCC's board of directors. 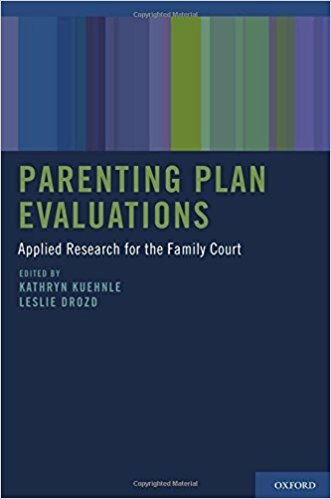 She was the founding editor of the peer-reviewed international Journal of Child Custody (2004-2013) and is currently on AFCC's editorial board for Family Court Review. 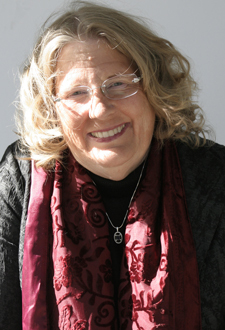 She has co-edited books and book chapters on domestic violence in child custody cases, relocation, psychological testing, child sexual abuse, treatment of trauma, alienation, step-up parenting plans, and family therapy with families in which a child resists or refuses contact including a National Council of Juvenile Court Judges' bench book on Navigating Domestic Violence in Child Custody Cases (2006), Professional Resource Press Book, Parenting Plan & Child Custody Evaluations: Using Decision Trees to Increase Evaluator Competence & Avoid Preventable Errors (2013) and Oxford University Press books, Parenting Evaluations: Applied Research for Family Court (2012 & 2016). She received AFCC’s highest honor for distinguished service, the John E. Van Duzer award, in 2013. WHAT'S INSIDE: This book is about developing systematic ways to improve the processes evaluators use to create and test hypotheses, collect information, organize the information evaluators have, and analyze the data in a transparent and comprehensive way. The authors also share an interest in visual ways to organize information in these evaluations: charts, decision trees, and grids. They include many reproducible 8 ï¿½" X 11" checklists and tools to reduce human biases and errors and to improve the accuracy of decision making. They believe that the processes they describe may mirror the process used by judicial officers in sorting and weighing evidence, creating clusters of factors around issues, and generating decisions based on the overall evidence presented in court. These tools were "field tested" in the authors' practice and teaching, and they believe the consistency and transparency of decision making has increased with the aid of these tools. 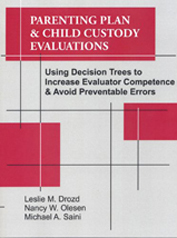 FROM THE COVER:This second edition is the go-to source for the most curren empiracle evidence in the field of child custody disputes. Fully updated, the volumecontinues its focus on translating and implementing research associated with the most important topics within facmily court. ALSO AVAILABLE: This original volume contains chapters not included in the second editon that retain their relevance and importance. When conducting parenting plan evaluations, mental health professionals must be aware of a myriad of different factors. Therapists and lecturers Kathryn Kuehnle and Leslie Drozd present experts who pull the research together. Click image to order.